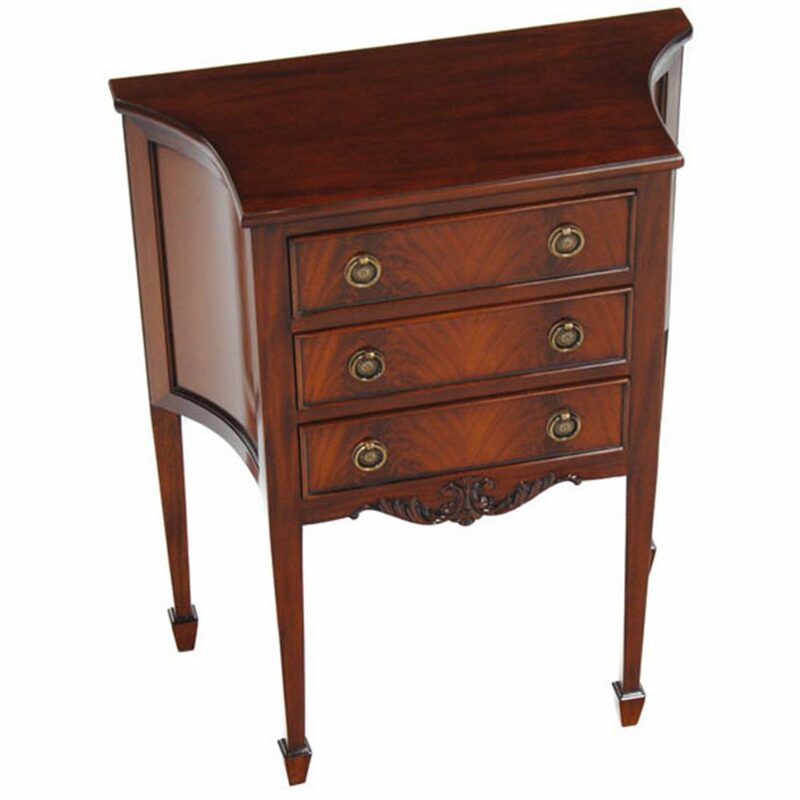 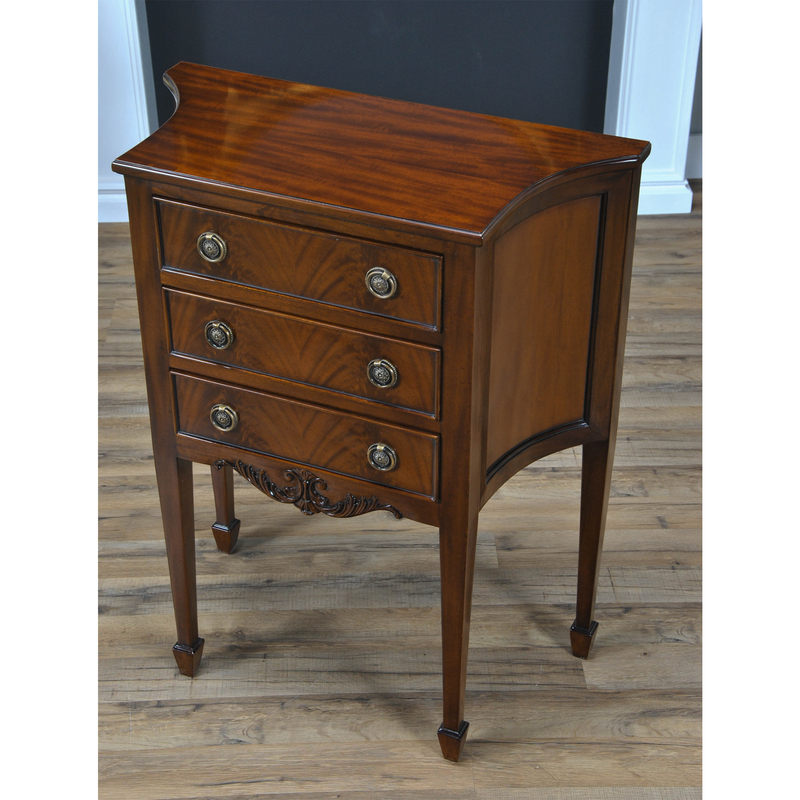 From Niagara Furniture this Mahogany Hepplewhite Commode is great for use as a side table or entry way piece. 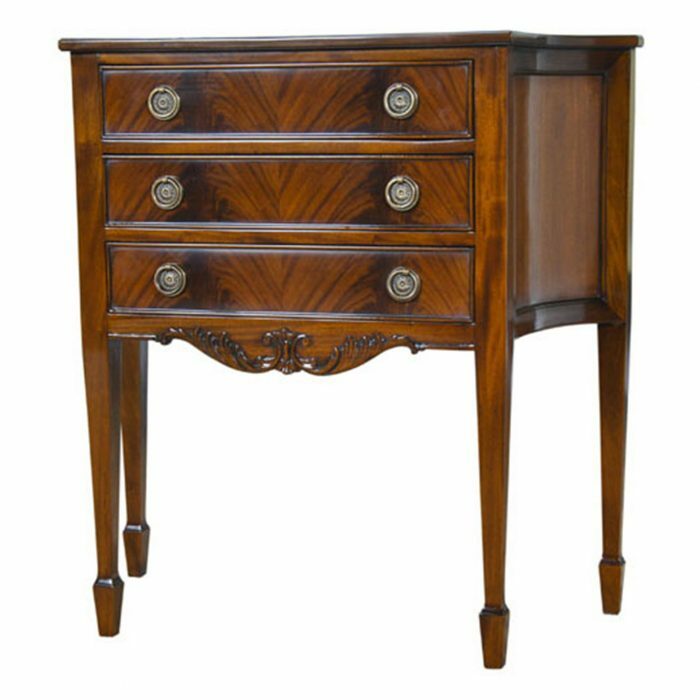 The three drawers are dovetailed and feature designer style hardware, curved and shaped sides lend elegance and style to any room. 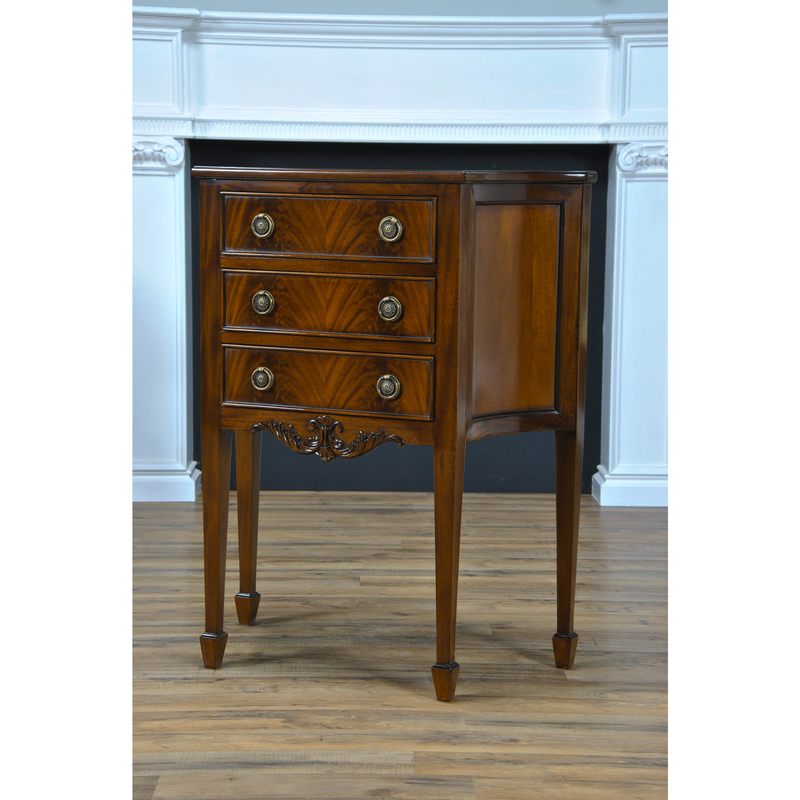 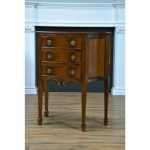 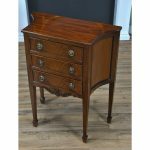 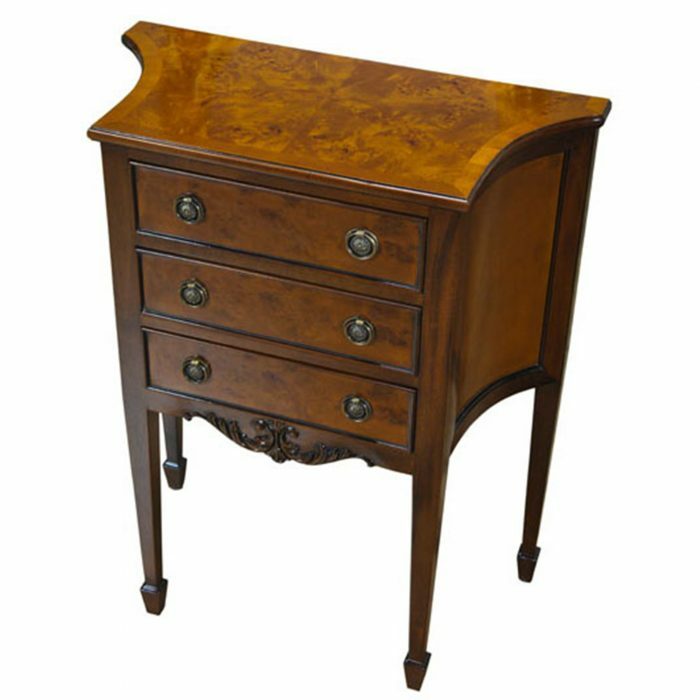 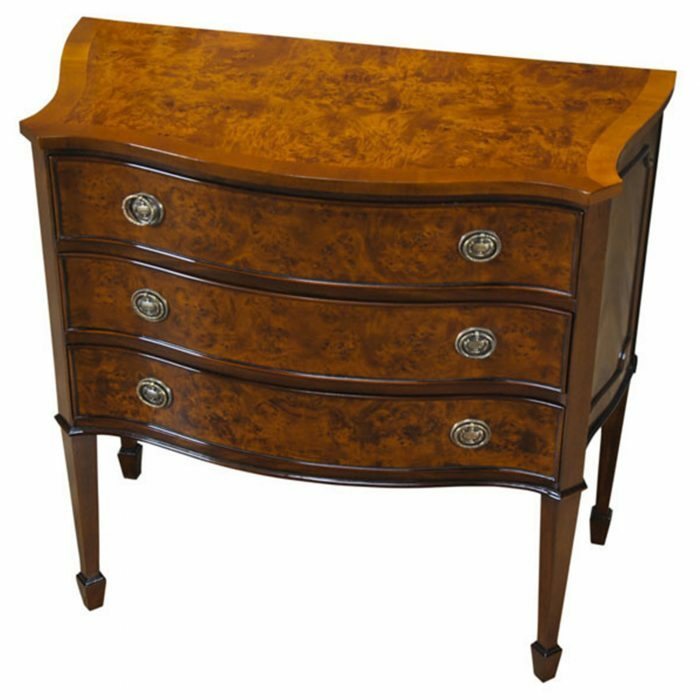 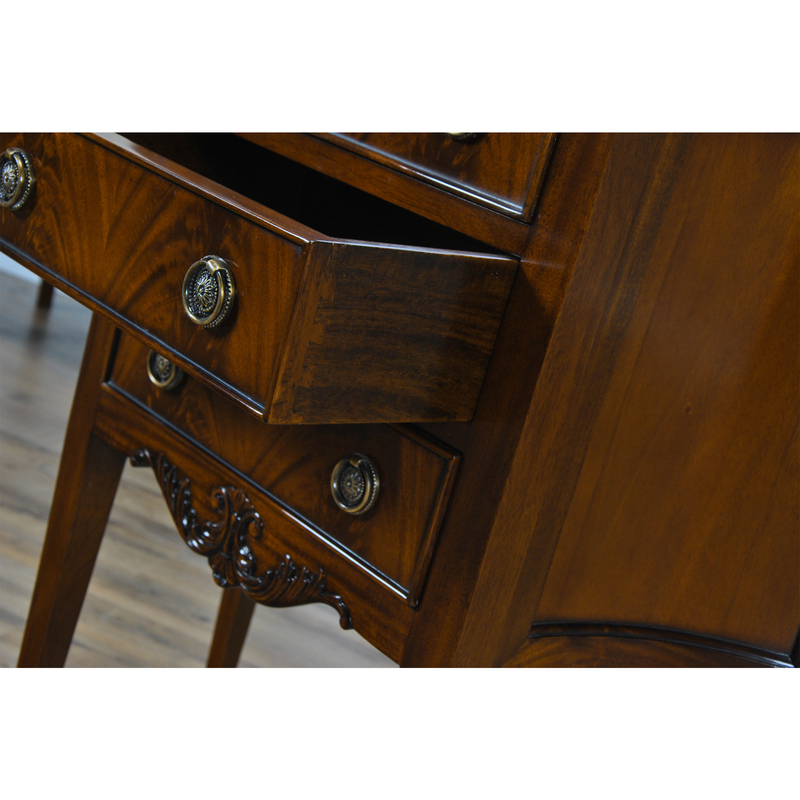 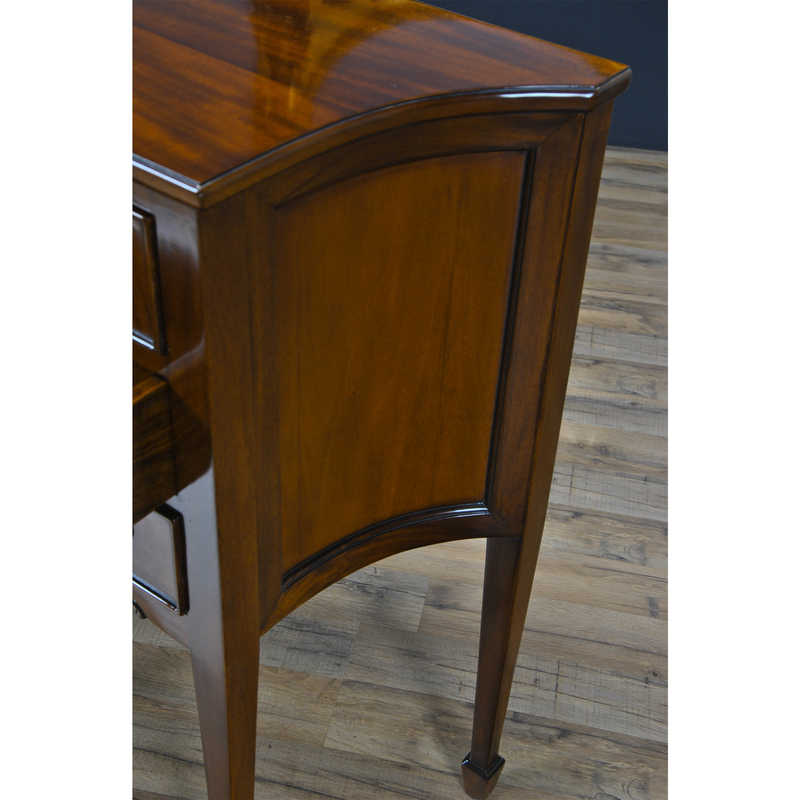 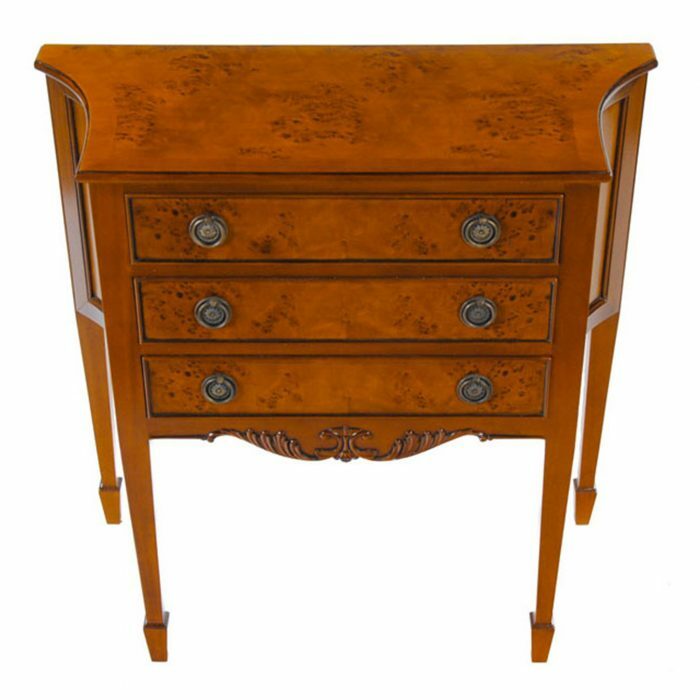 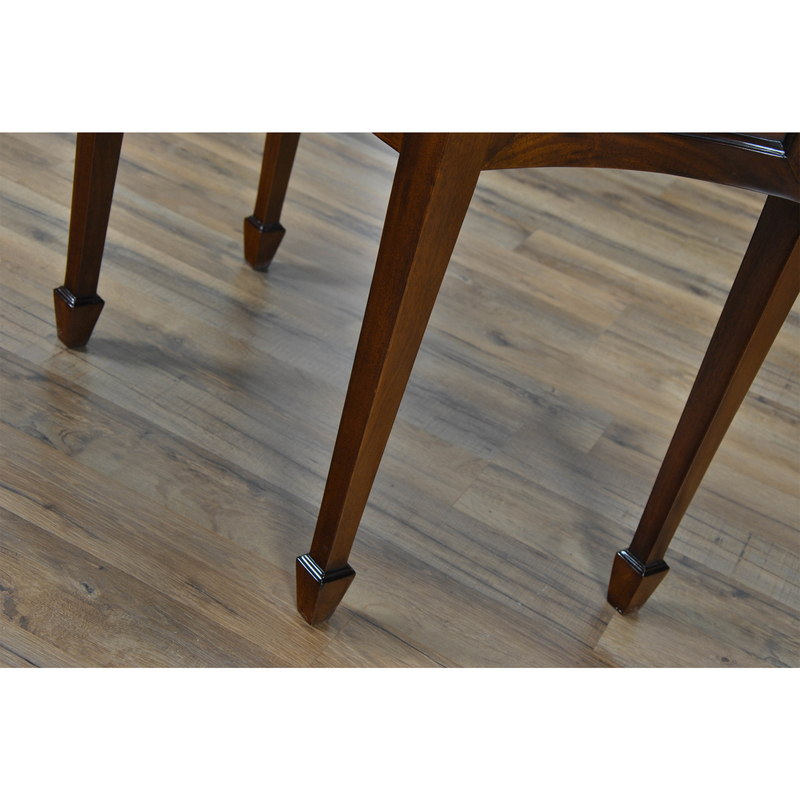 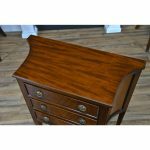 Hand carved details in the solid mahogany on the skirt as well as solid mahogany tapered legs lend a look of distinction to the Mahogany Hepplewhite Commode.